The Bead Shop is a fun and exciting program for those wishing to earn additional income while having fun. 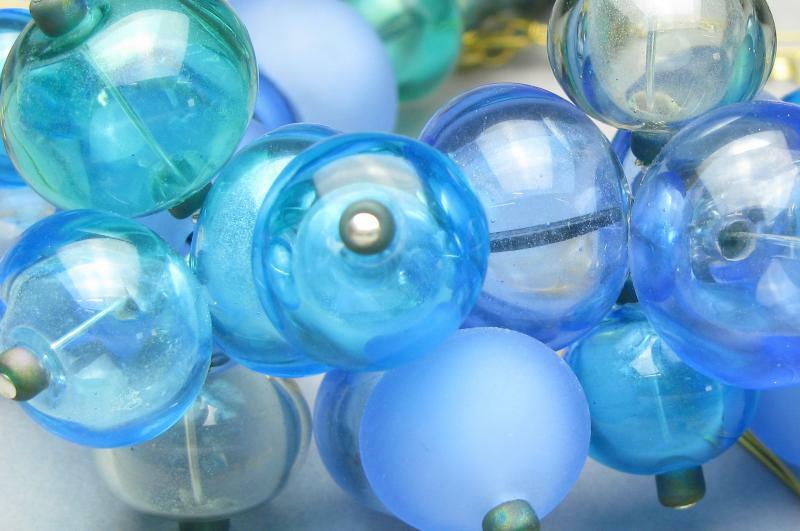 We teach you how to create beautiful glass beads over a hot torch. You’ll learn flameworked bead making and finishing, jewelry assembly, craft entrepreneurship including how to market your work online and life skills. We offer the opportunity to sell work at our special events and under small production contracts. You are accepted into this program through a application process. Space is limited and first come, first served. ​You are accepted into this program through a competitive application process. ​To learn the dates of the next session, and to download a program application click here. Craft Entrepreneurship Training To prepare graduates to be productive and successful in their businesses and as freelance contractors, students will complete up to 20 hours of craft entrepreneurship including business ethics; business communication; creating a craft business plan; photography, 21st Century research, networking and social media skills; professionalism and responsibility; marketing and outreach; entrepreneurial thinking; self esteem; financial literacy; managing family issues; time management and more. Students will receive specific training on manufacturing to industry standards and fulfillment under Artisan Contracts. Industry/Trade Show Exposure Students will visit trade shows, wholesale purchasers and other industry events when possible. Transportation costs will be covered by the program. Attendance and Performance Commitment: Students are expected to arrive on time and attend all classes and field visits. Two unexcused late arrivals/absences or unacceptable, unprofessional behavior are grounds for removal from the program. Tuition paid will not be refunded if students are dismissed for either excessive absences or behavioral issues. Upon program completion, graduates will receive opportunities to produce beads and other products under Artisan Contracts; display work at gallery exhibitions; and establish online businesses. Full tuition for Jewelry Business-in-a-Box is $425 per session, with a generous sliding fee scale to make sure that no student is turned away due to an inability to pay. While all participants are expected to make some financial contribution, financial aid is available to qualified participants who complete a simple application.